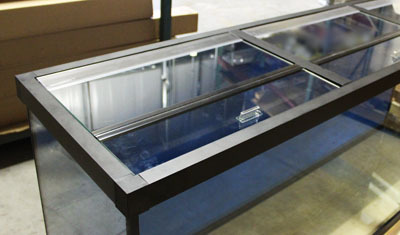 This tank was made by Custom Aquariums©, and comes with FREE SHIPPING to any location within the USA. 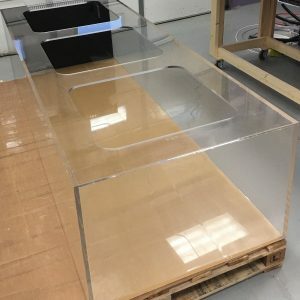 This is a 180 gallon glass aquarium built with a reinforced aluminium frame. Unlike popular plastic frames which are porous, aluminium frames are designed to withstand moisture.